Kurt wants to kill himself, but has no idea how to do it without going to Hell, letting his friends down or disappointing his mom. Also, he hates the taste of the gun. Before he dies, Kurt has to take care of his crazy girlfriend, as well as the perfect girl he just met, all while trying to catch a serial killer. How will Kurt commit Painless Suicide? 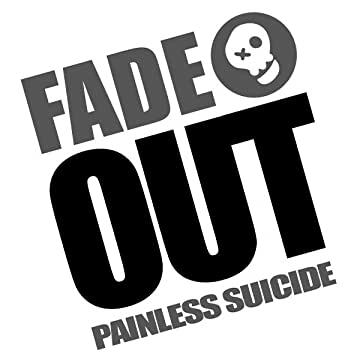 "Fade Out: Painless Suicide" is a sarcastic, reflective drama with acid, dark humor that offers an unique look at the generation Y. 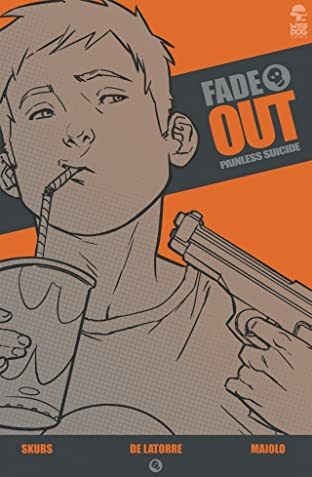 An award winning graphic novel from Brazilian team comprised of writer Beto Skubs, artist Rafael de Latorre and colorist Marcelo Maiolo.